We recently spent an amazing day touring Jerusalem with Debra leading our intimate group. She was very knowledgeable and inspiring and made our trip a much richer experience ….can’t recommend her strongly enough!….thanks for sharing your passion and insights with us Debra…much success! I love my tours with Debra. Why? Simple. She knows her stuff! From planning the trip with all the arrangements of people, times, driver, vehicle, etc. to knowing what we are looking at along the way to our destination….the Jewish history of the land of Israel and the Tanach. Plus when we get to where we are going she has the most unique way of getting us to look thru the lens of time to view the site from a circular timeline. All inclusive. Her short trips around Jerusalem are so charming and very informative. I’ve lived her for 21 years and enjoy her local walks thru Nachlaot (the history is so rich) and the Jewish shuk with emphasis on food, Kashrut and the colorful history! I took Debra’s Shavuos in the Shuk tour last week and really enjoyed it! The history of the shuk was fascinating! Our group was diverse (all ages and from all over) and the shuk isn’t the easiest place to make yourself heard, but Debra did a fantastic job keeping the group engaged and together. She took us to a variety of vendors and gave us just enough time (not too much, not too little) to pick up a little something if we wanted to. 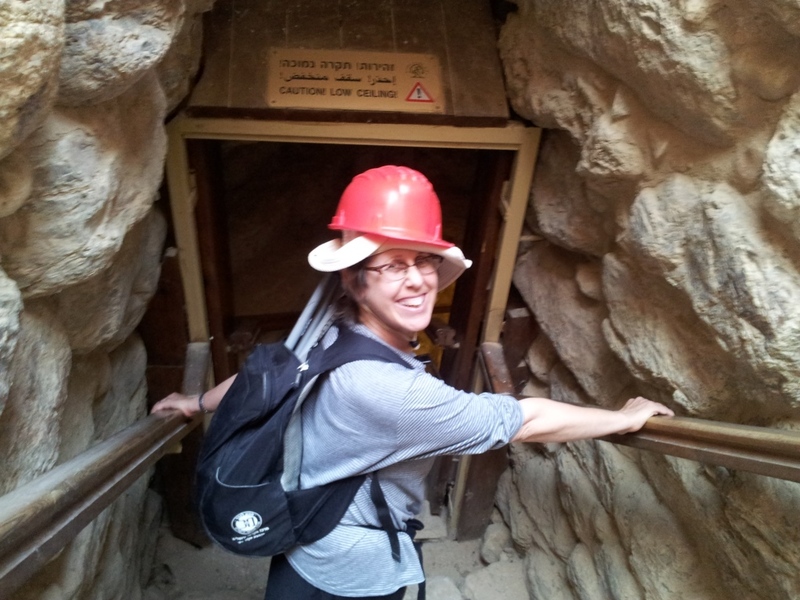 I would definitely recommend this tour to both tourists and those living in Israel (like me!) who want to see the shuk in a whole different way. Thanks, Debra! debra is by far the best tour guide around! She is fully knowledgeable and has incredible enthusiasm and love for sharing Israel with her guests… I would go on any tour that she offers with knowing I will have a fabulous experience! Thank you so very much, Debra, for a most enlightening and fact-packed tour last Friday morning. . . .
We absolutely loved learning some surprising details for the first time (and also “refreshing” the ones we had forgotten!) about the neighborhoods we visited as part of your “19th-Century Jerusalem: The Race for the Holy Land” tour. You are a conscientious and highly professional guide who is clearly passionate about her subject matter, and your enthusiasm is mamash contagious . . . we loved every moment of your well-planned and most enjoyable tour, and we look forward to joining you on many others, אי״ה. . . . Thank you so much for your amazing tour!! It really was beyond our expectations. You were interesting, informative and your enthusiasm was contagious. I’m being completely truthful when I say that we can’t wait to I”YH come back to Israel and tour with you again. Thanks so much for the wonderful pictures and enhancing our visit to Israel. I want to shout out to Debra Nussbaum Stepen. We toured with Debra for 3 days. Our first day was a walking tour of the Old City in Jerusalem, the 2nd day was Masada and the Dead Sea and of course a camel ride, the 3rd day was Yad Vashem and a walking tour of the Mahane Yehuda Market. We were 9 people. Family and friends who came to Israel for my daughters wedding. We were an eclectic group of all ages ranging from 23 – 73. Not only is Debra Nussbaum Stepen extremely knowledgeable and a fantastic tour guide but she took care of us like we were her family! She is energetic and passionate and at the same time she had a calming effect when personalities within our group clashed a little. She knew how to cater to each individual personality and she made it work for all of us!! I HIGHLY recommend her!! Another vote for Debra Nussbaum Stepen. She was the highlight of our 3.5 weeks in Israel. I can’t begin to tell you how informative and engaging she is. My 7 year old who knows how to whine like he does it for a living didn’t let out a peep in 7 hours of walking in the heat of Jerusalem. She was amazing! Enthusiastic knowledgeable tour guide who goes out of her way to be accommodating . I thought that I would just walk along and watch but because of Debra’s knowledge and caring attitude I walked away totally satisfied. Debra is a gem and the tour a delight. Debra took my 19 year old yeshiva student son, a friend of mine and I to a tasting tour through Machane Yehuda Shuk in Jerusalem. She is engaging, fascinating, knowledgeable and connected. She was sensitive and knowledgeable about the complexities of kashrut and was able to easily tailor the tour to our needs. It was a wonderful afternoon with meaning and new appreciation. I would definitely recommend Debra as a tour guide. Thanks so much for the very informative, enjoyable and delicious tour. You were an excellent guide and I appreciate your patience with the elderly and preteen set. Thank you Debra! We really enjoyed the tour and got a lot out of it. It’s always amazing that you can learn something new each time you go to Jerusalem.